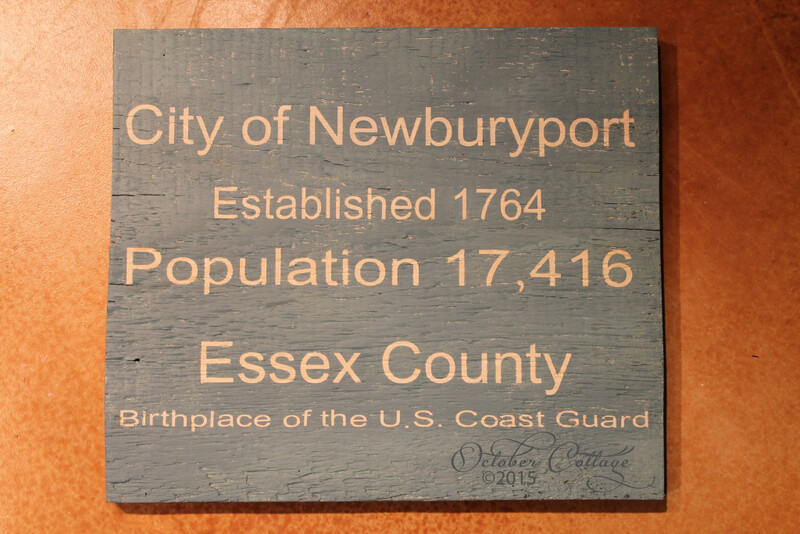 This hand-painted sign was created by Susan to highlight Newburyport and its heritage as the birthplace of the U.S. Coast Guard. The sign is pine reclaimed from a 1750 Newburyport house. The tree that this wood came from was a seedling around 1500!